Jane Ijegbulem was called to the Nigerian Bar in 2005 after graduating from the University of Benin and has over 9 years post call experience. 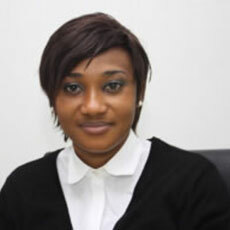 She started her career in the capital market in Meristem Securities Limited in 2008 and later Investment One Financial Services Limited, gathering diverse experience in Corporate Finance, Trust, Company Secretarial and Human Resources. Jane is a Member of the Nigerian Bar Association and a student member of the Institute of Chartered Secretaries and Administrators of Nigeria.